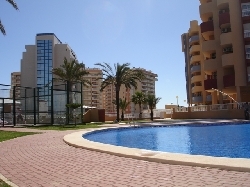 A luxury penthouse apartment with private roof top solarium and stunning views across both the Mar Menor and the Mediterranean Sea. 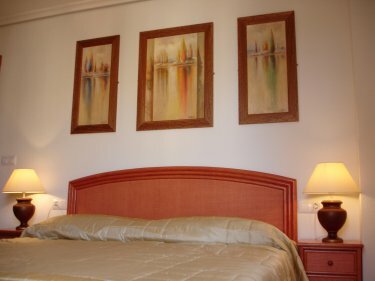 Fully furnished to a high standard, including air conditioning. Satellite TV and under floor heating. 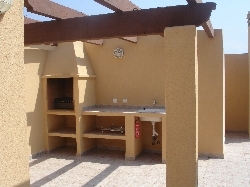 Two Bedrooms, one with ensuite bathroom and fitted with a security safe for guest's use. A further bathroom, fitted kitchen with granite worktops, lounge/dining room. Close to all bars, restaurants and shops. 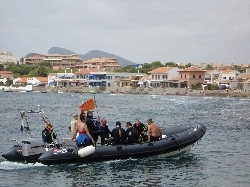 A short drive from the world famous La Manga Club Golf Resort, go-carting, scuba diving and much more. The added bonus of renting our apartment is having the use of the roof top solarium equipped with barbecue, sun lounger�s, table and chairs, a great place to dine in the evening or sunbathe in private during the day, costing not much more to rent than a standard apartment. This high quality fully furnished apartment is suitable for both couples and families who are looking for something a little bit special. No extra charges on prices quoted. 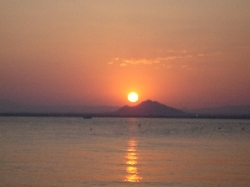 The La Manga Strip has a unique position in Europe, between two Seas, the Mediterranean Sea and the crystal clear waters of the Mar Menor. 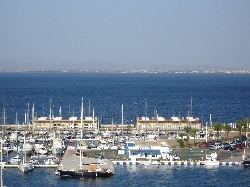 The apartment is located overlooking the largest marina in the area The Tomas Maestre Marina, near the tip of the strip. 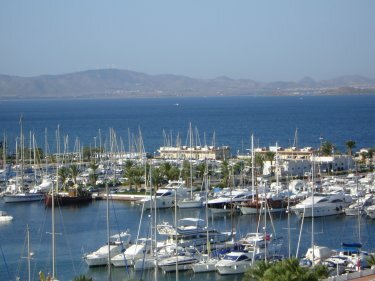 It is not far from the Cosmopolitan City of Murcia and the Historical City of Cartagena with its wonderful port. Close to all Restaurants, Bars and Shops and boasts an enviable front line position with the opportunity to watch the sailing ships return to the marina and to witness some of the most fantastic sunsets you will ever see. A �100 deposit is required to confirm your booking, with the balance and a refundable �100 damage deposit payable 8 weeks prior to departure. 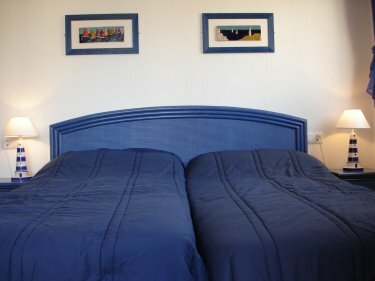 Refundable deposit will be returned two weeks after your stay in our apartment. 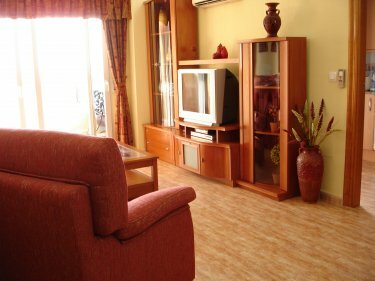 60 euros is payable on arrival to the management representative for cleaning of the apartment. (There are no other extra charges).This charge will be waived for the first five customers booking for 2013.